Diploma in Theology, Ecole Evangélique de la Bible, 1976; Bachelor of Theology (BTh), Séminaire de Théologie Evangélique de Port-au-Prince, 1983; Master of Theology (ThM), Dallas Theological Seminary, 1987; Doctor of Ministry (D.Min. ), Gordon-Conwell Theological Seminary, 2016. With an inspiring academic and ministerial career, Dr. Laloi is one of the longest-serving members of the STEP family. Dr. Laloi is one of eight students that made up the first class of STEP, when it launched as a companion program to the Ecole Evangélique de la Bible (EEB) in 1981, under the leadership of Dr. Jean Duthene Joseph. He served as a professor of French, Evangelization of Children, and Bible at the EEB from 1980 to 1983 and served as the schools Director from 1989 until its merger with STEP. Since his return from the United States in 1987 he has served as a professor at STEP, teaching courses in Bible and Theology, Biblical Languages, Exegesis, Eschatology, and Church Administration, to name a few. He has written four books: Introduction to Theology, The Trinity, Messages for a Renewed Spiritual Life, Studies on the Epistle to the Galatians. Dr. Laloi served in various roles throughout his ministerial career. 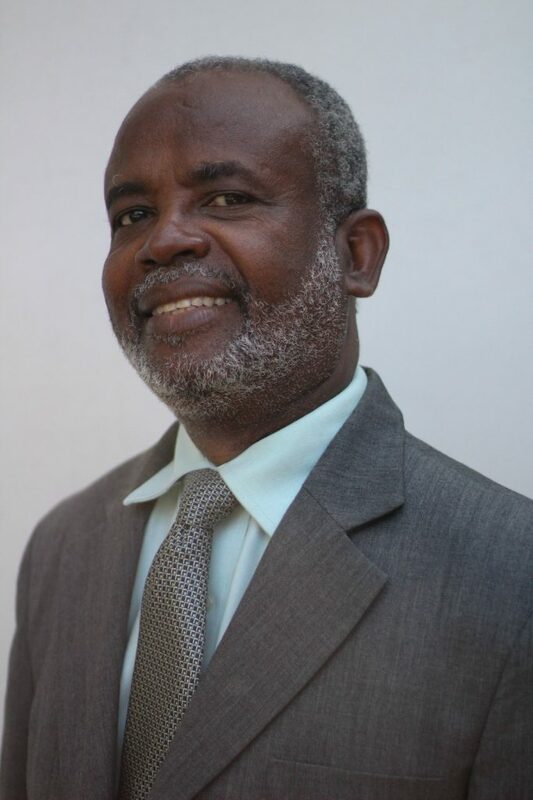 He served as President of the Evangelical Baptist Union of Haiti (UEBH) for 8 years, as a Pastoral Assistant at l’Eglise Baptiste de Bolosse and as a presenter of Bible studies on Radio Lumière. He has served on the board of several Christian institutions in Haiti, including Radio Lumière, la Presse Evangélique, and STEP. He is currently the Senior Pastor of the Eglise Baptiste du Tabernacle à Port-au-Prince, a church he has been leading for more than 25 years. Dr. Laloi is a man of great simplicity, a good teacher of the Bible and faithful preacher of the Word of God. He is passionate about the exegesis of the New Testament. Dr. Laloi is married to Elsie Plantin since 1994 and they have three children: two boys and a girl.